Highlights from the Fallout 76 of the Ash Heap may reveal much about West Virginia’s coal-mining history. 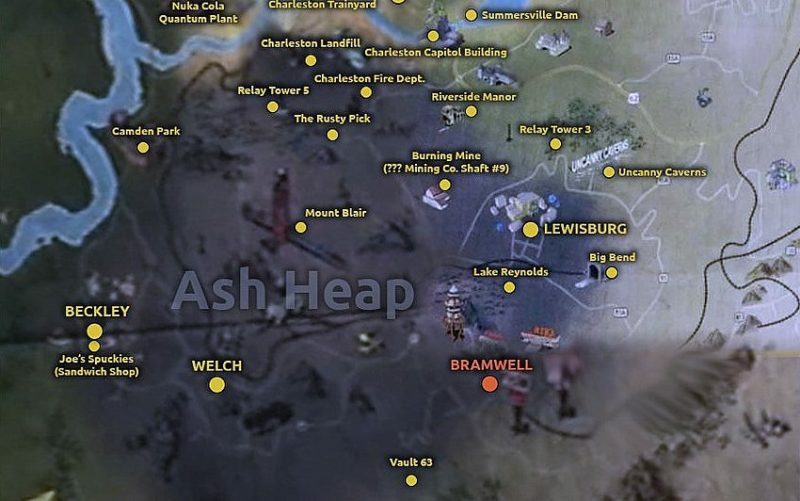 Editor’s note: the fourth installment in John Barton’s examination of a map of the soon-to-be-released Fallout 76 video game investigates The Ash Heap region, which draws on the bloody history of mining and industrialism in West Virginia’s coalfields. The southwestern area on the Fallout 76 map, “The Ash Heap” — with its blackened appearance and giant earth excavator — sharply contrasts with the natural beauty of other areas of the map like “The Forest” and likely refers to strip mining and mountaintop removal in the southern coalfields of West Virginia. From the late 19th century until the 1960s, the rugged coalfields produced more coal than any other region in the U.S., though the area remained impoverished. President John F. Kennedy famously toured the coalfields near Welch, in McDowell County, during his 1960 campaign and witnessed the plight of a strong people who labored hard in the mines but lived in makeshift shacks and struggled to put food on the table. Some areas identified already in the Ash Heap include the communities of Welch, Beckley, Bramwell, and Lewisburg, and locales such as Mount Blair, Camden Park, Big Bend Tunnel, and what appears to be a burning mine shaft. While the most well-known burning coal mine is in Centralia, Pa., the W.Va. Department of Environmental Protection reports that 43 mine fires still burning among the state’s 3,300 abandoned mine sites, so the burning mine shaft could be a reference to almost anywhere in the coalfields. The inclusion of pastoral Lewisburg and Big Bend Tunnel suggests that other southern counties outside the coalfields have been included in the Ash Heap. Of the seventeen counties in the southern state, seven include locations identified in the Ash Heap so far — Cabell, Logan, Mercer, Raleigh, Summers, McDowell, and Greenbrier. The specific locations identified on Oscerlot’s map from Reddit (above) and the area’s appearance clearly reference West Virginia’s coal-mining history. While a few local attractions, such as Camden Park, are identified in the area, the Ash Heap calls to mind the dark period in the coalfields following the Civil War and the discovery of coal — the Mine Wars. The birth of the labor movement in the U.S. began in the southern coalfields with bloody conflict. Many locales in the Ash Heap reference a time of violence between miners and mining companies. 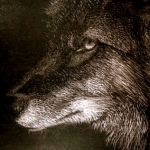 After a series of bloody altercations intended to thwart the attempts of miners to form a union, mining companies hired Baldwin-Felts detectives to act as strike-breakers, enforcers, and hired muscle. For decades, these thugs terrorized coal towns in the region. 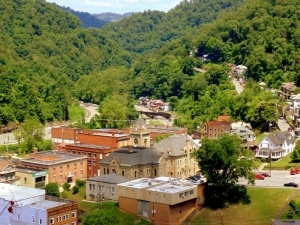 In 1921, when the detectives were foreclosing on company-owned homes in Matewan, West Virginia, removing families at gunpoint, police chief Sid Hatfield and deputy Ed Chambers intervened to protect them. The “Matewan Massacre” left 10 men dead, seven of whom were Baldwin-Felts detectives, including two of Thomas Felts’ brothers. Hatfield was a descendant of Devil Anse Hatfield. Yes, the Hatfield and McCoy clans fought their infamous feud here. Hatfield and Chambers were being brought to trial for their alleged role in dynamiting a coal-processing site when they were gunned down by Baldwin-Felts detectives in front of their wives and a throng of supporters on the steps of the McDowell County courthouse in Welch. Following the murders, more than 10,000 armed miners marched south from Charleston towards Logan and Mingo counties to free imprisoned union miners there. Meanwhile, Logan County Sheriff Don Chafin, responsible for imprisoning the miners in the first place, gathered the nation’s largest-ever private army of as many as 3,000 men and set up defenses on Blair Mountain to block the advance. When the miners arrived at the summit, they faced fortified concrete bunkers, machine gun nests, and aerial bombardment with explosive and gas bombs left over from World War I. The Battle of Blair Mountain ended when state and federal forces intervened and declared martial law, leaving hundreds of miners dead and nearly 1,000 imprisoned on charges of murder, treason, conspiracy, and attempted murder. Not directly related to the Mine Wars but worth mentioning is the inclusion of Bramwell, West Virginia, the site of dozens of historic mansions erected by coal operators and other successful merchants and industrialists. Bramwell was once home to the highest number of millionaires per capita in the U.S. The local school mascot remains “The Millionaire,” and many of these mansions still stand today. 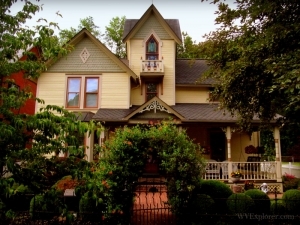 A walking tour of the Bramwell National Historic District is a definite must-do for visitors. Another location in the Ash Heap unrelated to the Mine Wars concerns the railroad industry that preceded coal mining. 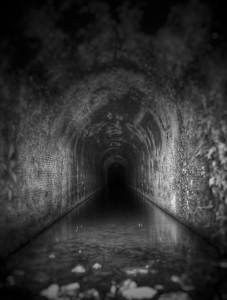 The Big Bend Tunnel was the site of the famous battle between man and machine. Here, John Henry, a black railroad worker capable of wielding a sledgehammer in each hand, challenged a steam engine to a contest and defeated the machine, but the exertion cost him his life. A statue honoring him stands in Summers County near the tunnel. John Henry’s legend lives on, and he remains a popular folk hero. Other locations related to the Mine Wars that could be included in the Ash Heap are any of the hundreds of mines that collapsed or exploded, the most deadly of which had been in the mines at Monongah, West Virginia, in the northern coalfields in 1907. “The worst mining disaster in American History,” the explosion there killed nearly 400 miners. Another mining disaster that may become a feature of the game is the Buffalo Creek Flood, which laid waste to a valley above Man, West Virginia. In 1972, a coal-slurry dam collapsed releasing over 132 million gallons of black waste water in a 30-foot wave that washed through 16 towns, destroying hundreds of homes, displacing more than 5,000 people, injuring more than 1,000, and killing 125 unsuspecting residents, including children. 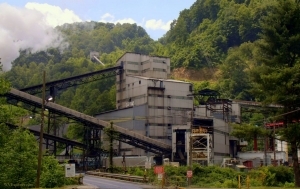 The Ash Heap appears to capture both the beauty and tragedy of West Virginia and its people, telling the story of some of the darkest times in its history — times that demonstrates the state’s ties to the labor movement and showcases the strength and resilience of its people, times that are still recent history for those of us who call West Virginia home.